DCI Central Illinois Date: Friday, June 26 Location: Normal, IL Stadium: Illinois State University Ticket Price: $25 (reduced group rate also available) Learn more about this event. Purchase tickets through DCI.org. 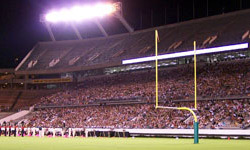 DCI Orlando Date: Friday, July 11 Location: Orlando, FL Stadium: Florida Citrus Bowl Ticket Prices: $20 - $40 (reduced group rate also available) Learn more about this event. Purchase tickets through DCI.org. 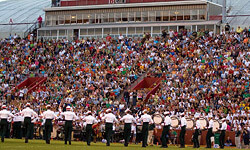 View a complete schedule of 2009 DCI Summer Tour Events.